Every year multiple tech shows are scheduled at different exciting locations near you. But, this reason is not enough to attend any event. CEE19 is one of the largest and best-attended technology events on the continent that provides a remarkable level of valuable insights. And now it’s pretty clear why you must not miss attending this technology exhibition. For Financial Services Industry: Technology has brought improvements in every sector and so it has done for the financial sector. 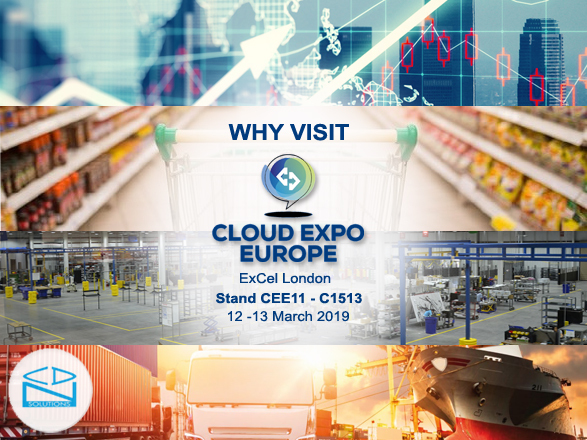 And, if you want to experience the unprecedented transformation in financial services, grasp your chance to visit Cloud Expo Europe 2019 in ExCel, London and build new revenue streams. It’s your best chance to learn how can you improve security through the adoption of cloud technology. For Media and Entertainment Industry: We are leaving in the era of technology which has delivered unpredictable changes in the entertainment sector as well. If you want to meet the expectations of today’s consumers, CEE19 the best platform to explore new age of story-telling to re-shape your business. Learn about the key points of media economics including bandwidth, data regulations, building relationships with audiences and more. For Retail Industry: Technology leads the way for consumers. To become a first-class service provider, you need to shape your services according to changing consumer behavior. Cloud Expo is the platform that can help you transform your business by smashing your customer experience goals. So, don’t miss the opportunity to get a deep understanding of customer habits and demands. Find plenty of services and solutions to evolve your business whilst remaining secure. For Public Sector: Technology has invented a pool of solutions for public sector fulfilling public needs and expectations. If you are challenged with a limited budget and maintaining security, Cloud Expo is the right place to find the best solutions. This sector is going to be the key theme at the event. A number of expert speakers and thought-leaders would be exploring technologies that would bring huge opportunities for public sector organizations. For Manufacturing Industry: Today, every industry is dependent on technology for productivity, connectivity, and effectiveness and so is the manufacturing industry. If you want to remain relevant and competitive enough in the age of industry, cloud expo is a must visit for you. If you really wanna stand out among the leading service provider, get insight about managing risks, driving opportunities and implementing best solutions for your business. For Transportations & Logistics Sector: The transportation and logistics sector has been immensely benefitted with the growing advancements in technology. At the expo, you’ll find plenty of solutions that would help you remain competitive and enhance efficiency with the latest technology. Here you can also find opportunities and challenges, vital for your business. If you want to see yourself in front of this increasingly competitive environment, cloud expo is a must visit for you to unlock your IT vault. CDN Software Solutions is debuting at the expo where we’ll showcase our array of services and solutions for digital transformation. Don’t miss to visit CDN Solutions Group at Stand C1513 on 12th & 13th March 2019 at ExCel, London. Here you can learn how to take advantage of agility & security by implementing AI, Internet of Things, Blockchain and more cloud technology in your business.